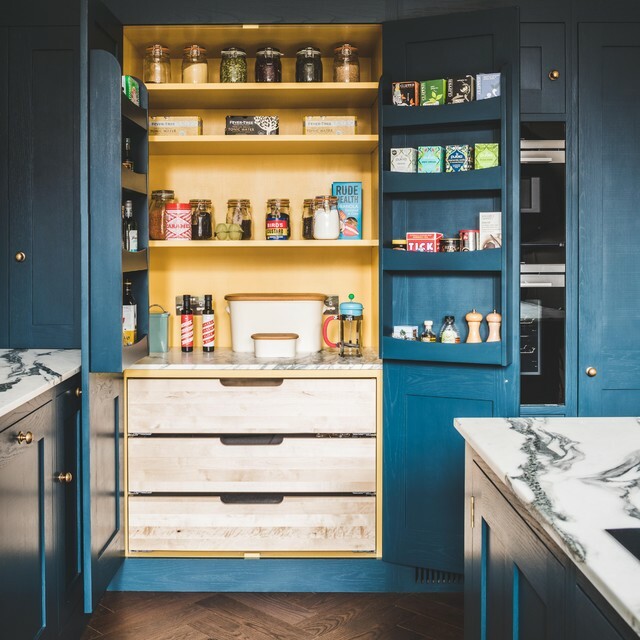 Shaker kitchen cabinets painted in Farrow & Ball Hague blue with antique brass knobs, pulls and catches. 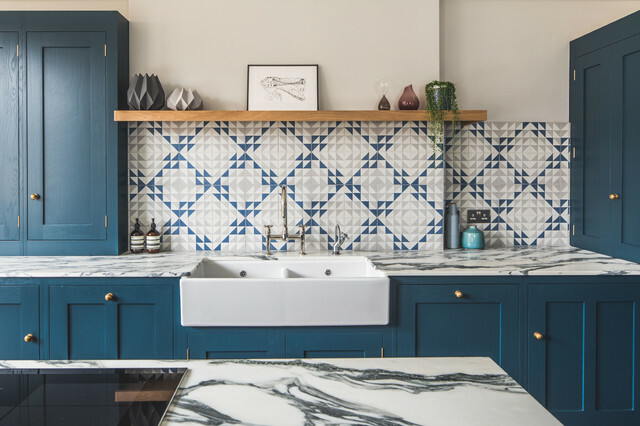 The worktop is Arabescato Corcia Marble. 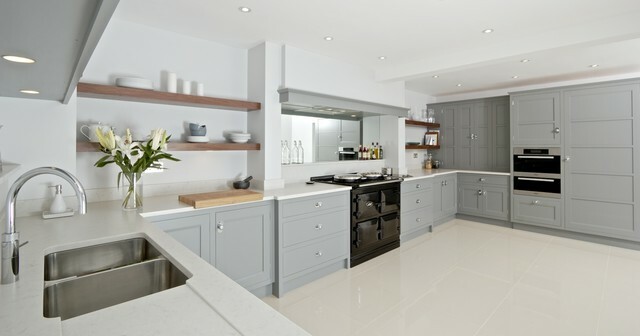 A wall of tall cabinets feature a double larder, double integrated oven and integrated fridge/freezer. 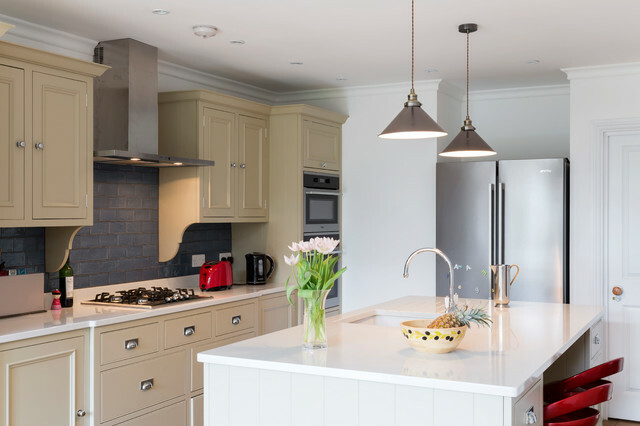 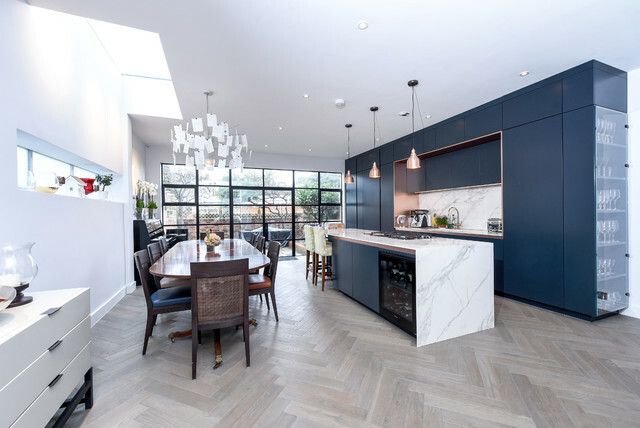 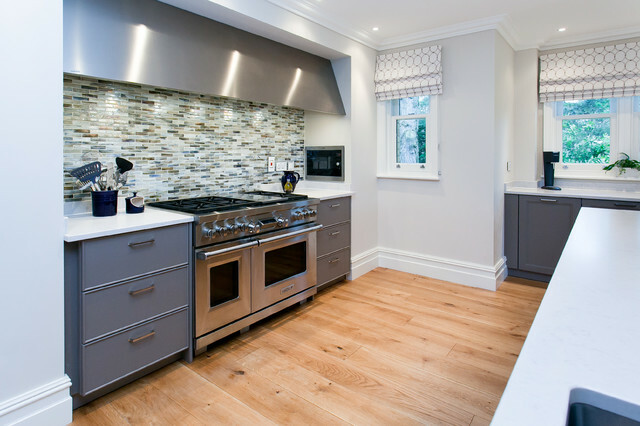 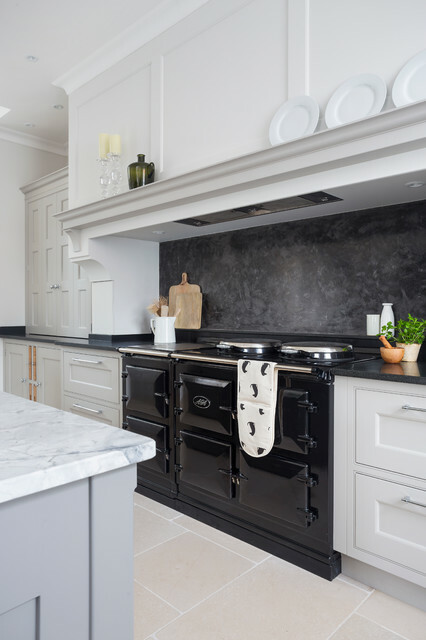 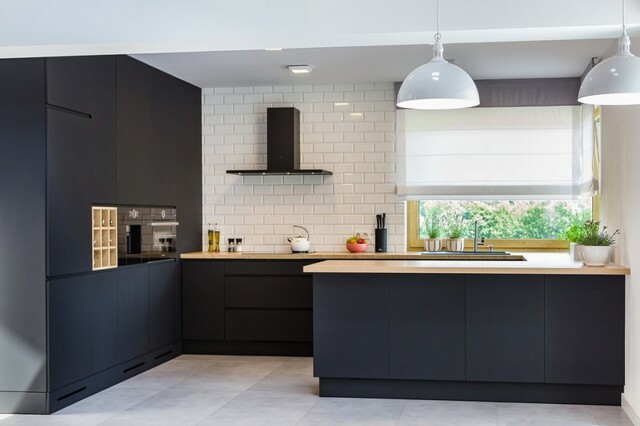 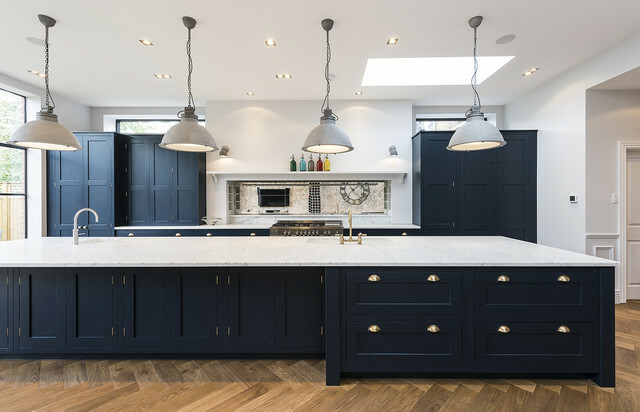 A shaker double ceramic sink with polished nickel mixer tap and a Quooker boiling water tap sit in the perimeter run of cabinets with a Bert & May Majadas tile splash back topped off with a floating oak shelf. 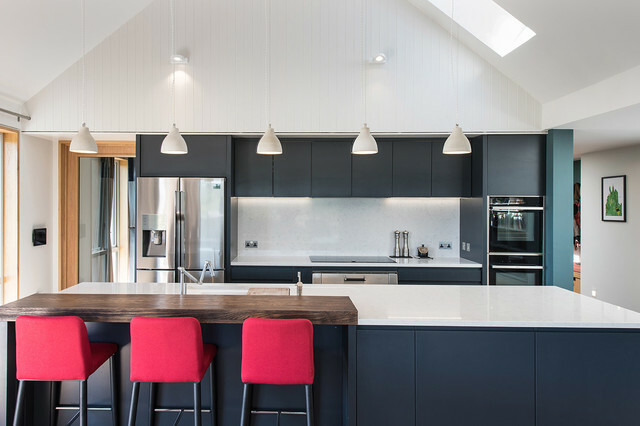 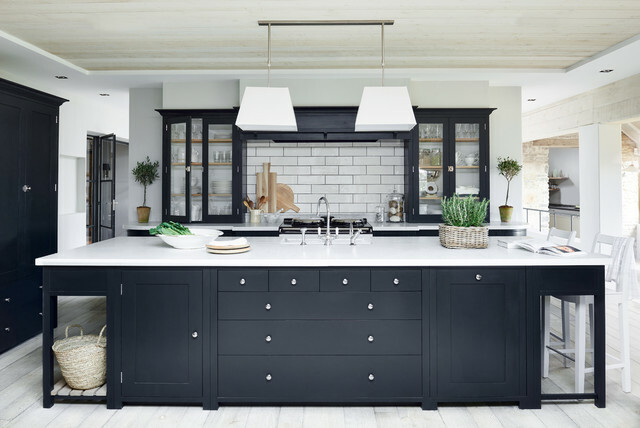 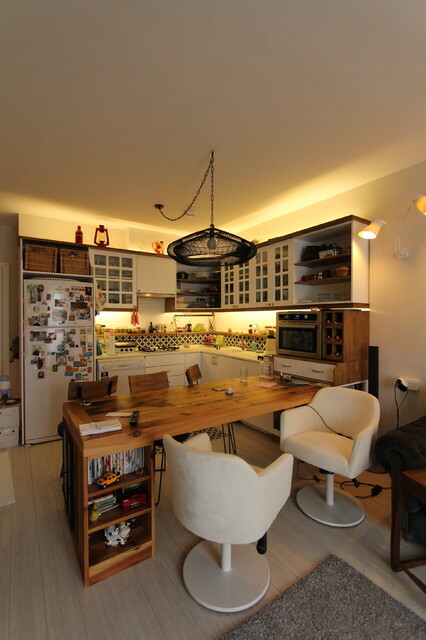 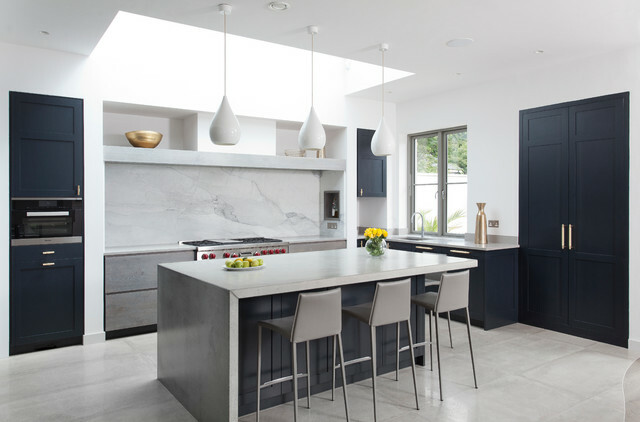 An induction hob sits on the island with three hanging pendant lights. 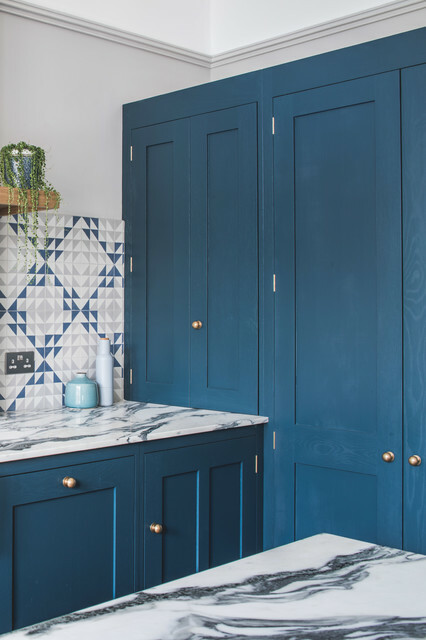 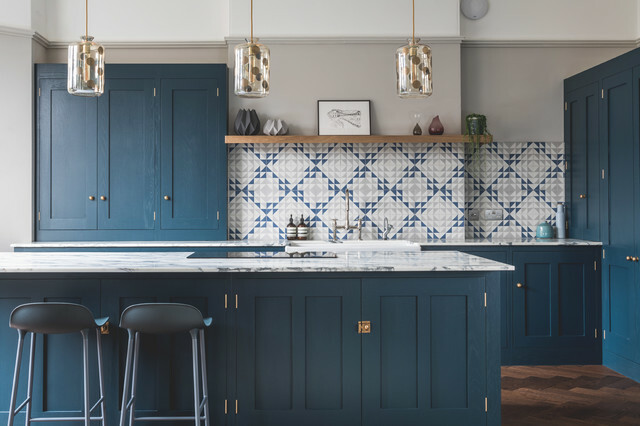 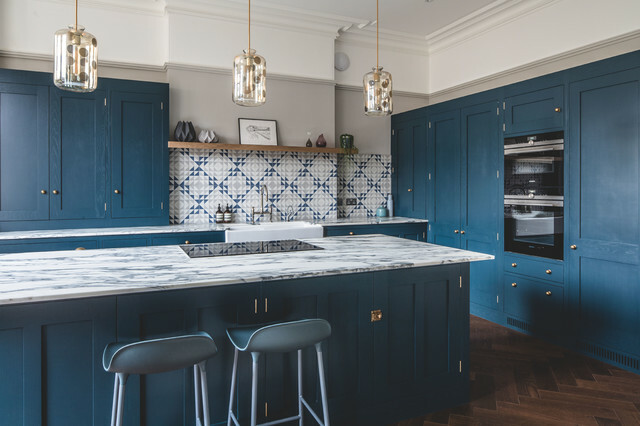 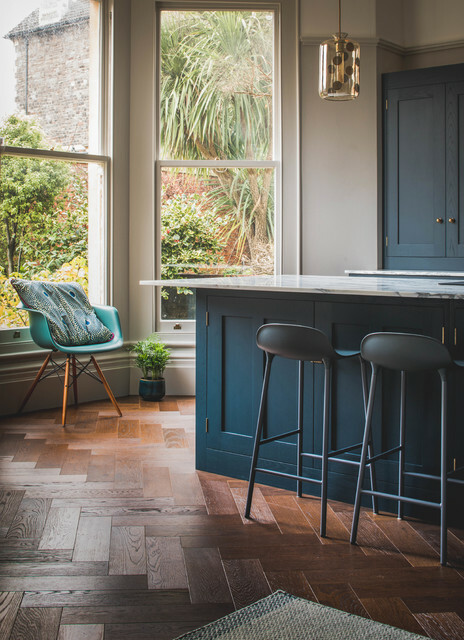 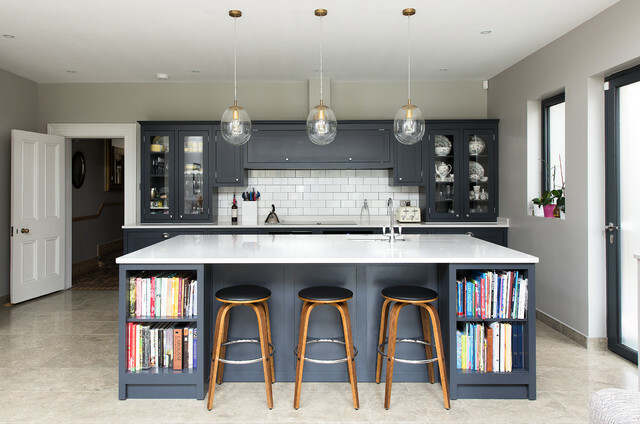 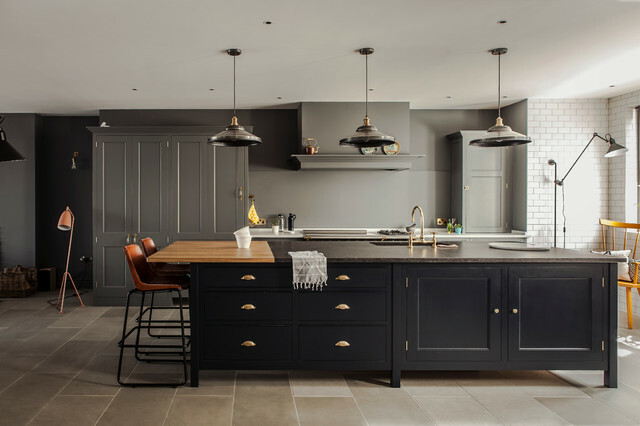 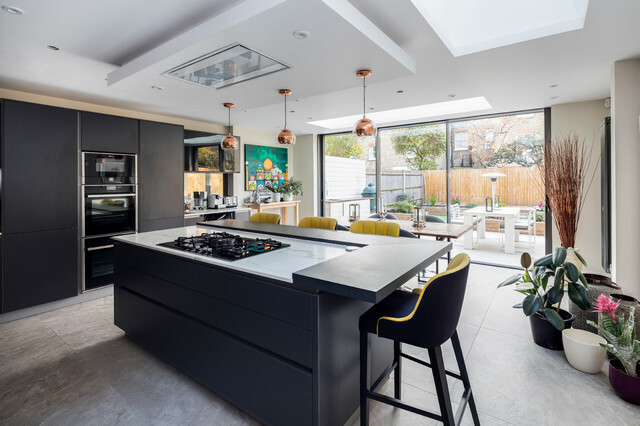 Two moulded dark blue bar stools provide seating at the overhang worktop breakfast bar. 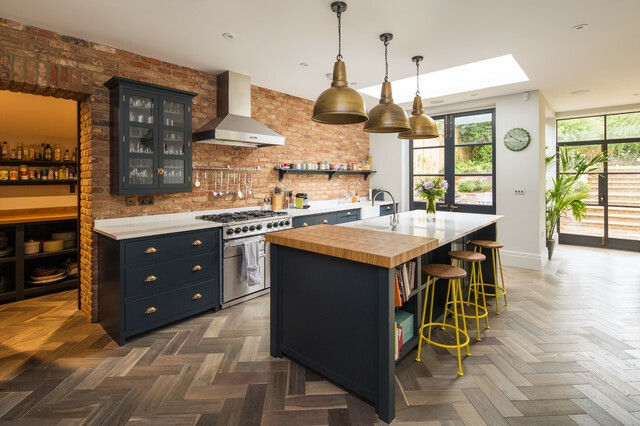 The flooring is dark oak parquet. 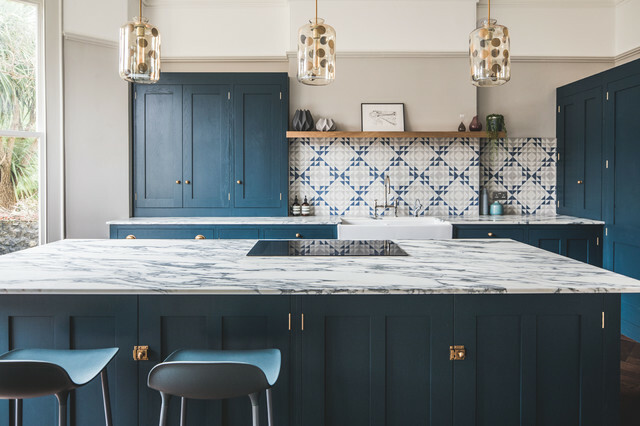 Add marble for an eclectic feel If you like a kitchen packed with personality, you’re going to need to bring in some texture and pattern. 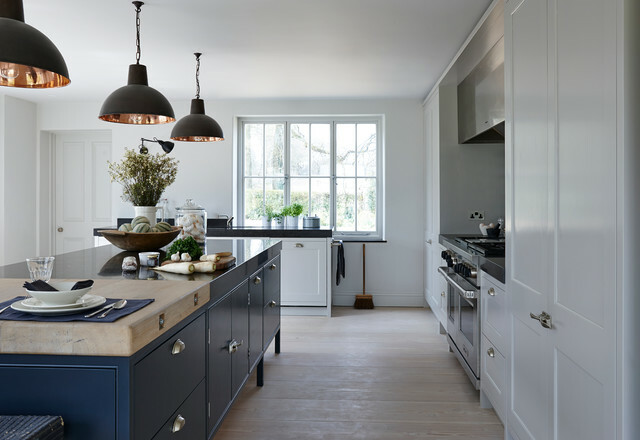 One way to do this is with wooden floors. 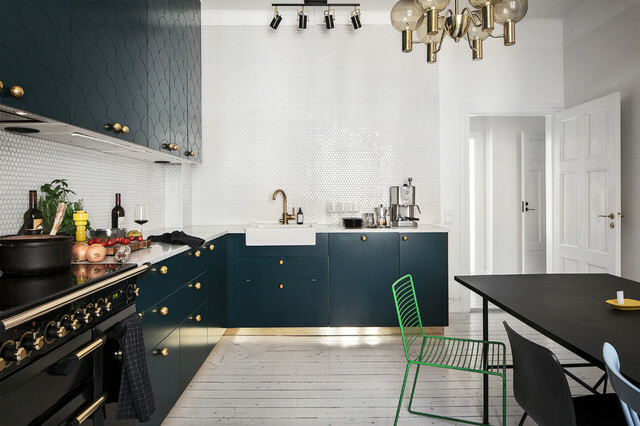 Another is by using decorative splashback tiles like these ones. 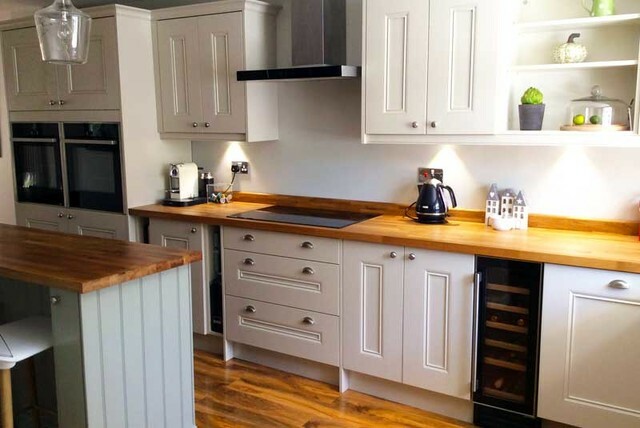 For the worktops? 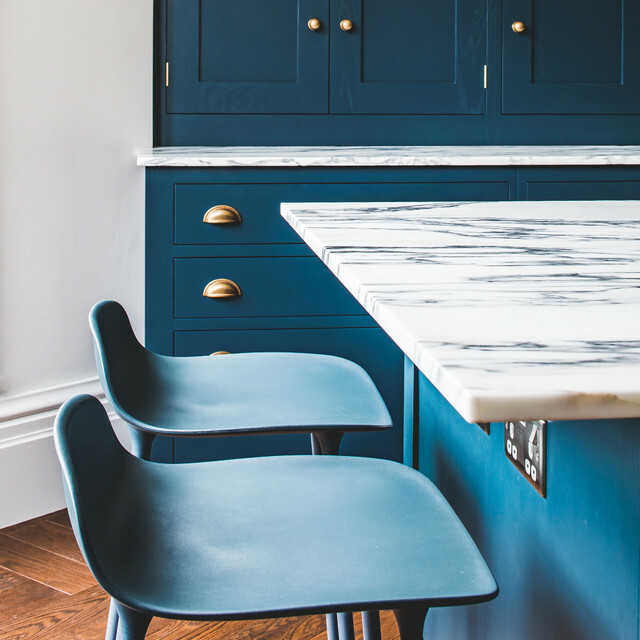 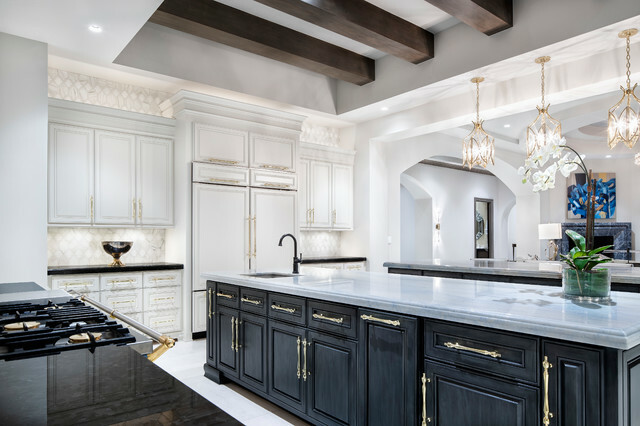 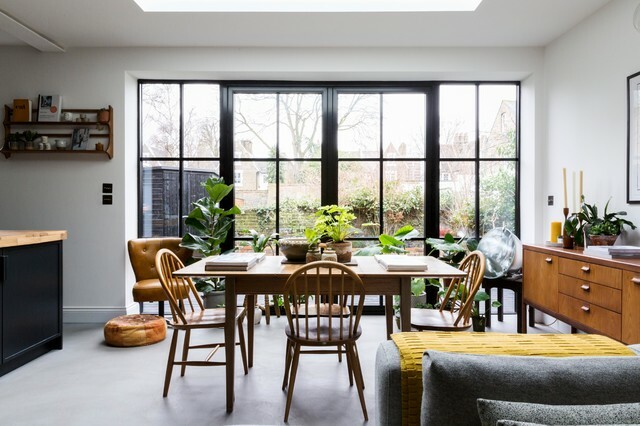 Forget sparkly, glittery composites, instead choose a marble-look design that can, like any well-chosen home buy, fit right in with all sorts of other decorative elements. 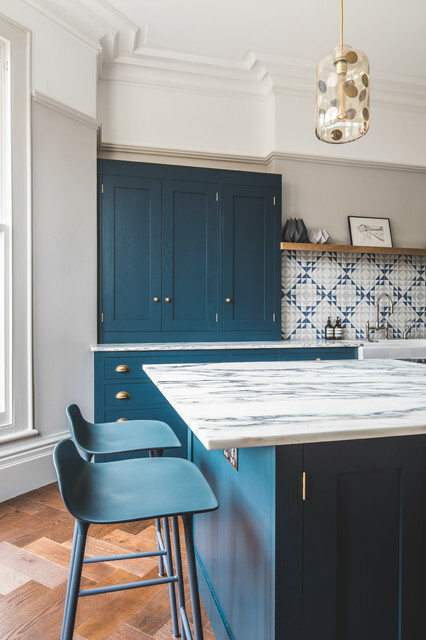 Hague Blue - This is the blue I had in mind for the kitchen island, and interior of cabinets (upper pantry, upper side board, and the exposed open shelves above the counter).